A rapid, high performance dye-terminator removal process based on the Agencourt SPRI technology. 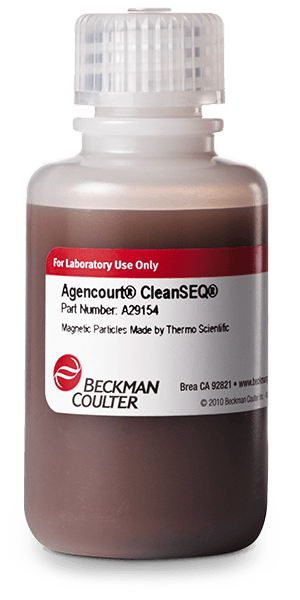 The paramagnetic bead format requires no centrifugation or filtration and is easily performed manually or fully automated for high throughput dye-terminator removal. Compared to similar systems, the Agencourt CleanSEQ system produces sequences with longer Phred 20 read lengths and higher signal intensities than any other purification technology.